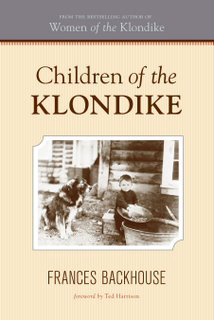 Drawing on letters, journals, contemporary accounts, and memoirs, Children of the Klondike looks at the lives of the youngsters who witnessed the treasure hunt of the century firsthand. 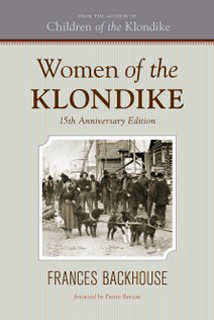 The large cast of characters includes Daisy Mason, whose Tagish-Tlingit father, Skookum Jim, was one of the men who discovered gold on Rabbit Creek, sparking the Klondike stampede and changing her destiny forever; the Snow siblings, the first non-Native children to cross the infamous Chilkoot Pass, nearly perishing in a blizzard along the way; and Dawsie Schultz, the Klondike’s first gold rush baby. 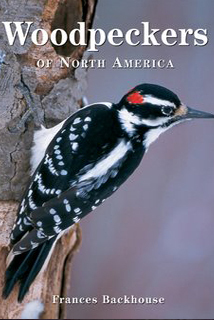 Published by Whitecap Books, 2010. It was barely dawn on the July morning in 1898 when the S.S. Hamilton pulled up to the Alaska Commercial Company dock at Andreaofsky, Alaska, and woke little Lucia, the company agent’s daughter. She knew at once that something was amiss. Despite the early hour—not yet even 3 a.m.—and the fact that the Hamilton belonged to a rival firm, the boat’s captain and purser came straight to the house to speak with her father. When they emerged from their discussion, his expression was as grim as theirs. As the sky lightened, Lucia watched several deckhands come ashore with spades and climb the slope to the village cemetery, then return to the ship a while later. Shortly after that, a procession of passengers and crew members carrying a long, white box came down the gangplank and followed the same route. By then Lucia’s father had told her why the sternwheeler had made an unscheduled stop. Just after midnight, one of the passengers, a young woman of only twenty-four or twenty-five years, had passed away. After a brief service, a freshly painted marker was placed at the head of the grave, identifying the deceased as Augusta Schultz. Then the sombre parade retraced its steps and the Hamilton continued down the Yukon River bearing a motherless baby who was not yet a year old. When Augusta and Charles Schultz had left Seattle in April 1897 on board the steamer Al-ki, the future must have seemed bright. Having caught wind of the gold rush rumours that were drifting down from the North, they wanted some of the fabled wealth for themselves. 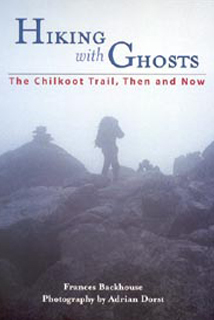 Whether or not they knew Augusta was four months pregnant when they left, there could have been no doubt about her condition by the time their journey to the Klondike via the Chilkoot Trail was completed. More than a thousand stampeders, including the Schultzes, poured into Dawson that summer, most of them without sufficient provisions to see them through the winter. The transportation companies had done their best to fill their warehouses before the close of the navigation season, but by September it appeared there wouldn’t be enough food to sustain the Klondike’s abruptly inflated population until spring. Everywhere in town there was talk of starvation warnings and speculation as to whether it would be best to leave before freeze-up. On September 8, while everyone else was preoccupied with these concerns, Augusta gave birth to the first white child born in Dawson. Bursting with pride, the Schultzes named their daughter Dawson Klondike and welcomed the many well-wishers who came to greet her, including eleven-year-old Florence Barrett, who visited the famous baby on September 12. Florence and her family had just arrived in town after their long journey down the Yukon River in the Buga-boo and were living in a tent on the waterfront. Finding no children her own age to play with, she had struck up a friendship with Mrs. Howard, the wife of the Lousetown toll-bridge operator, and tagged along on one of her regular visits to the Schultz cabin. The pregnancy and birth had taken a heavy toll on Augusta and her health only became worse as the winter wore on. 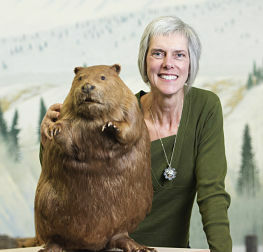 When she rallied a little in late May, Charles urged her to go south while she had some strength. The sale of their cabin netted them $1,000, of which $300 went for a boat ticket to Seattle. The rest of the proceeds were to cover Augusta and Dawsie’s living expenses until Charles could send additional funds or join them. On June 24 Charles escorted his wife and nine-month-old daughter down to the docks and onto the waiting steamer. He stayed with them until the last moment then hurried off the boat as the crew loosened its moorings. As soon as he left, one of the other passengers went to Augusta and, after introducing herself, took Dawsie in her arms. Mrs. George Guy had her own young son and a gravely ill husband to care for during the journey, but her kind nature and great fondness for babies made it impossible for her to ignore the obviously ailing young mother. After that the two women were seldom apart, spending long hours talking or sitting together and watching the scenery slip by. One afternoon, Augusta handed Dawsie to Mrs. Guy and said she was going to her state room to rest, as she was not feeling well. Over the following hours Mrs. Guy checked frequently on her friend but left her to sleep undisturbed until she began to worry that she’d been lying too long in the same position. She quickly fetched one of the boat’s officers and they entered the cabin together, where her worst fears were confirmed. Augusta was dead. With a heavy heart, Mrs. Guy prepared Augusta’s body for burial. Later, when they reached Andreaofsky, she watched as the casket was lowered into the ground and said a silent farewell to a woman she barely knew but would always remember with affection. It was to be a month of sorrow for her. Her husband died at St. Michael a short time later. Even if Charles had had the means to head downriver, he wouldn’t have found his daughter at St. Michael. On July 4, the US authorities had taken her from the Yup’ik woman and entrusted her to the wife of the first mate of the sailing vessel Hayden Brown. A few days later, in a prearranged rendezvous in Kotzebue Sound, Dawsie was delivered to a Coast Guard cutter that was on its way to Seattle. A month later Mrs. Hume wrote to the Yukon Sun with further allegations about Charles’s negligence. After Augusta’s untimely death, she said, the people of Dawson had raised several hundred dollars to help with Dawsie’s care and the money had been deposited in a Seattle bank. In 1899, Charles had “made a trip to the outside and secured the money and used it for his own pleasure.” He had then returned to the Klondike and had not been heard from since. Dawsie’s early years may have been, as the Nugget reporter put it, “one long, drawn out note of pitiful misfortune,” but her luck was about to turn. At the end of April, “the poor little waif who no one seems to want or care for” was turned over to the Washington Children’s Home Society. A few weeks later, she got a permanent home with Dr. and Mrs. C. L. Erwin, a Seattle dentist and his wife. Charles came to see Dawsie soon after she moved in with her new foster parents and visited a few more times over the following years. Then, when she was twelve, he disappeared without a trace, leaving her with more questions than answers about her part in the Klondike story. Winner of the 2010 City of Victoria Butler Book Prize. 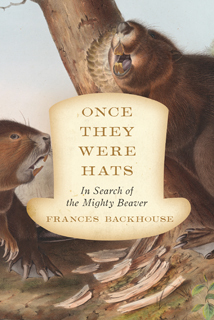 Victoria Times Colonist: Backhouse has produced a highly readable account that will open our minds to another aspect of Canadian history. It’s taken more than a hundred years for a book on this subject — and frankly, it’s been worth the wait. 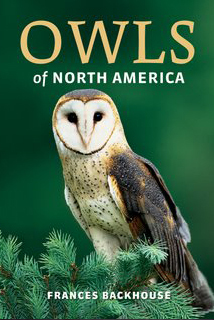 “A Detailed, Child’s-eye View” – A conversation with Focus book reviewer Amy Reiswig. “Bridges and Oranges: The Stories of Klondike Children Come to Life” – A Yukon News article about my August 2010 northern book tour (complete with the Yukon News website’s clever animated banner).